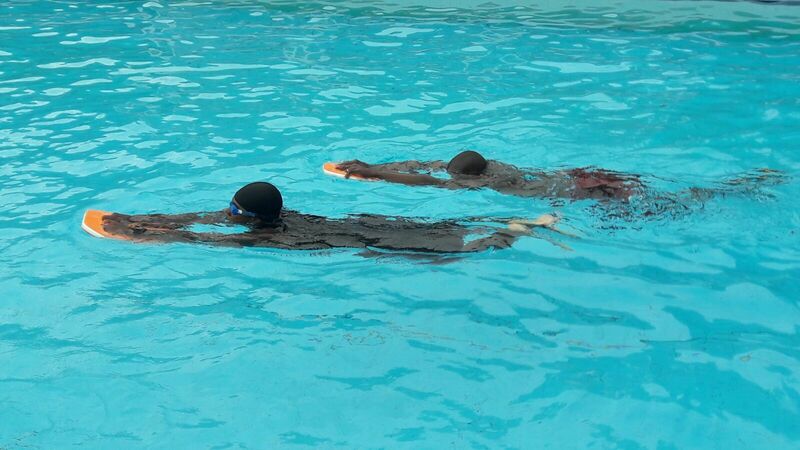 Members of the Territory Search and Rescue Team (TSART) are pictured receiving training in ‘Basic Water Safety and Swimming’. The 10 week training programme began on March 23 and will end on June 16. The instructors are the Caribbean Emergency Preparedness Solutions. TSART is comprised of 22 members from the Royal Virgin Islands Police Force, the Virgin Islands Fire and Rescue Service and Her Majesty's Customs. The Territory Search and Rescue Team was formed in 2014 following Cabinet’s approval to develop a specialised team which is capable of responding to all types of search and rescue, and emergencies on land and on sea.